Commonly called thistle mushroom or panical mushroom. The hat is dark brown to grey and the foot eccentric in wild specimens. In the cultivated varieties it is favoured that it makes a thick foot because it is very interesting for the cooks to be able to make sheets. 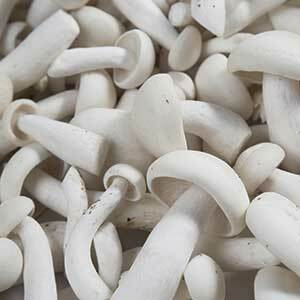 Its light, pleasant smell and sweet taste makes it one of the most tasty and sought after mushrooms. 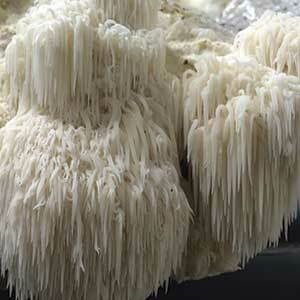 Its flesh is white with exquisite taste, the texture is firm, combines well with all types of food and is easy to digest. 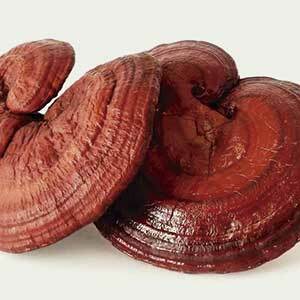 As for its properties, it is rich in proteins, vitamins and minerals and very suitable for low-calorie diets. 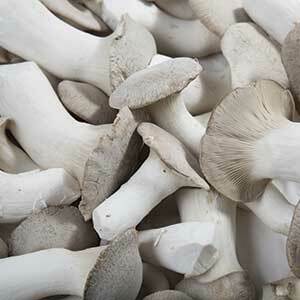 Known in our country as beech mushroom or beech gyrgola, it is highly valued in Asia for its firm and crunchy texture, and its characteristic perfume, where it is considered a gourmet mushroom. Its nutty taste and slightly bitter taste make it very suitable for making mushroom mixtures or for sautéing with sweeter vegetables such as carrots, zucchini, onions, etc. The ram mushroom, also known as ‘hedgehog mushroom’, ‘pomo pomo’ or ‘old man’s beard’, is one of the oriental mushrooms with a more surprising appearance. Recently, clinical research is being done because, among other things, it is attributed with properties as a neuronal regenerator, and it is being studied if it could help against dementia, Alzeihmer, Parkinson’s, etc. The texture of its flesh is spongy, so it is recommended to eat young and very fresh. Its smell is fungal and its taste is pleasant, sweet and mild. It can be cut into thin slices and grilled directly or in batter. It’s known as the ‘mushroom of immortality’. 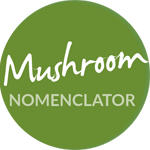 It may be the mushroom that shows the most potency in stimulating the body’s natural defences and the amount of properties attributed to it is innumerable. This curious fungus is usually taken dehydrated in infusions and even dissolved in coffee because its hard and coriaceous consistency makes it inedible. It has a bitter taste.